Donors make a gift to a charity's endowment fund at GSCF. Donors can make a gift to one charity or multiple charities all within a single transaction for "one-stop shopping!" Donations up to a maximum of $2,000 per charity per person will be matched. Example: Donors can contribute $4,000 to two charities ($2,000 each) and both $2,000 gifts will be matched. But if a donor contributes $4,000 to one charity, only the first $2,000 will be matched. 100% of the donor's gift will go to the principal of the organization's endowed fund, and will generate income based on the current Foundation's spending policy (4.5%). Example: A $100 donation will become part of the fund's principal and generate approximately $4.50 every year to support that charity forever. GSCF matches the donor's gift proportionally up to 50% in the form of an instant cash grant to the charity to use for current needs. The charity may use the match however they choose, including special projects and basic operating costs. Some charities also opt to put the match back into their endowment to meet future needs. No single charity can receive more than half of the total match. The organization who raises the most dollars for their endowment on March 21. The organization who experiences the biggest increase in number of gifts raised in 2019 over 2019. (example: 2018 = 55 gifts; 2019 = 75 gifts; score = 20). In the case of a tie, the winner will be determined by the highest percentage improvement over the previous year. The organization who most creatively promotes Match Madness 2019. To be considered, be sure you send a copy of all promotional materials to the Foundation before the event. 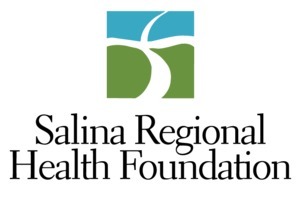 On social media, be sure to tag Greater Salina Community Foundation and #MatchMadness2019. Each organization can compete for up to $100 in bonus grants by participating in a Minute-To-Win-It free throw contest at the Fieldhouse. Nonprofit representatives will be given one minute to shoot free throws from a rack of basketballs. Every free throw made (up to 10) will be worth $10 in bonus cash. Gifts can be made by cash, check, credit card, stock, or donor advised fund. Gifts not made online must include a completed Match Madness donation form indicating the gift amount per charity. All checks should be made out to GSCF with Match Madness in the memo line. All credit card gifts are subject to a 2.2% + 30¢ transaction feed. Donors have the option to cover the fee before completing their transaction. Please contact the Foundation prior to the event if you plan to make a gift with your donor advised fund or stock. North Salina Community Development, Inc.